After a couple of months filled with engaging meta shifts, upsets and exciting top tier League of Legends, we are on the brink of the first international tournament of the year. 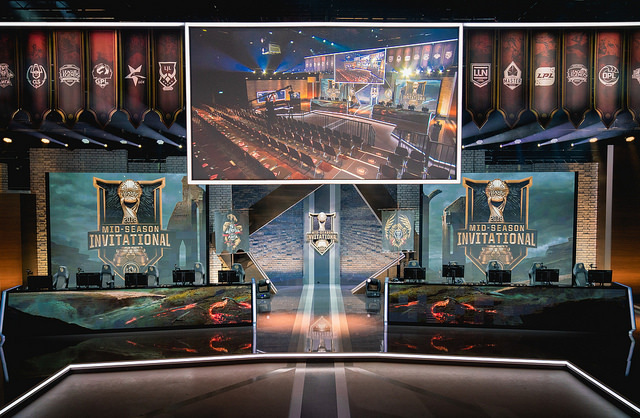 Founded in 2015, the Mid-Season Invitational serves a very concrete role in the competitive season. It’s always held in May, right after the Spring Split comes to a close and it functions as a very direct indication of how strong each region is. Throughout it’s rather short history, MSI was always a proving ground for the absolute best teams in the world. Perhaps most fittingly it serves as a mini-World Championship, without the chaos, the big stadiums and the month long marathon of League of Legends. Without any further ado, let’s focus on the teams that will be competing at this year’s Group Stage. It was such a big shock then to see them get kicked out in the Quarterfinals by Samsung Galaxy in a 3-0 shellacking. Losing is one thing, after all every Top 3 team in the LCK is incredibly dangerous but losing in such dominant fashion was a sight no one expected to see. They’re entering 2018 with an improved roster as they’ve signed both Peanut (of ROX Tigers and SKT fame) and even Rush. (former Team Impulse and Cloud9 jungler) To say that they’ve been dominating on home soil would be an understatement. They’ve only lost two matches during the 2018 Spring Split and one of those losses was without their toplaner Khan. The amount of tools that they have at their disposal is simply astonishing. They can play any style, they’re dominant and focused when ahead but when behind as well and they have some of the best players in the entire world. Kingzone isn’t perfect, in fact they’re still essentially the same team from last year (even with Peanut being a huge upgrade) and taking them down lies in setting back Pray and Gorilla. That said – it’s far easier said than done. They know where their weaknesses lie and they’re more than able to play around them. They know what’s the best and most optimal way to play and win in the current meta and even though Pray statistically gets the least amount of resources out of any other ADC competing at MSI he still does wonders. They want redemption for their 2017 Worlds failure which could make this Kingzone roster a highly dangerous one. They’re not just looking to win but they’re looking to make a statement. Betting on Kingzone DragonX to win is a complete no-brainer at this point. After three splits spent in EDG’s and Team WE’s shadow, this is the first time since 2016 Spring that Royal Never Give Up managed to claim the LPL throne. It was an exhilarating ride from start to finish and even though they got a bit “lucky” in certain moments of their Spring Split run they’ve still earned their right to be China’s representative at this year’s Mid-Season Invitational. It was also the first time that fan-favorite Uzi was able to lift an LPL trophy after years of finishing second. His level of play throughout the regular season and playoffs was absolutely astonishing. He completely outclassed other world class AD carries in his region and is absolutely the most feared ADC in the world – judged by his peers. Even if he doesn’t shine to the fullest of his ability (which is hard to imagine), RNG also has one of the best midlaners in the world as well in Xiaohu. The current meta is very bottom lane focused and RNGU’s ability to play around arguably the best ADC in the world is quite the advantage. Uzi isn’t perfect, he makes mistakes but the level of his play is simply mindblowing and it’s present both in the laning phase as well as teamfighting in later stages of the game. Paired with their staple aggression and willingness to go for insane plays and you get a team that could in theory really challenge Kingzone. They’re also coming in with both Karsa (of Flash Wolves fame) and Mxlg, two very different but equally dangerous world renown junglers. Depending on the opponent they could by all means swap junglers and force a completely different playstyle. Overall they’re an incredibly capable team however it’s still too early to realistically predict whether or not they will be able to contest for the finals or not. LPL champions have been hit or miss over the last couple of years but their potential should never be overlooked. Their aggression and high level teamfighting is something not a lot of teams can contain which is one of the main reasons why we’re putting them second. If last year’s Worlds is any indication (two representatives in the top 4), LPL is as strong as it ever was. They’re an incredibly talented team that has already proven it’s worth on the international stage. They’re also incredibly dangerous since they can play either through mid or bottom lane. By being a multi-threat team they can essentially adapt regardless of the opponent and go for the most optimal strategy. On an individual level they’re also some of the best players in the world and the fact that sOAZ will be their starting toplaner will surely boost their chances. Even though Bwipo did well in the finals against G2, the amount of leadership, shotcalling and experience that sOAZ brings to the table is invaluable. Over the last year or so Fnatic proved to belong near the very top of everyone’s power rankings and while they didn’t really make a splash on the international stage just yet, they’re just getting started. The primary reason why we’re putting Fnatic at third instead of someone like Team Liquid is because they’ve not only retained their 2017 roster but actually managed to improve as well. Everyone on Fnatic has Worlds experience and they were able to showcase incredible resilience and mental fortitude last year when they became the first team in the history of the World Championship that went from 0-4 to advancing to the quarterfinals. They’re all incredibly skilled and perhaps most importantly they have a fantastic entourage within the coaching staff so they should be very prepared for this year’s Mid-Season Invitational. They have some big shoes to fill after watching G2 challenge SKT T1 last year, but they absolutely have the tools to make their region proud. For the North American representative we have Team Liquid. It’s strange not seeing the likes of TSM or Cloud9 represent the NA LCS but at the same time this is a breath of fresh air. TSM couldn’t really do their region justice so perhaps it’s time to give someone else a try. Fortunately for all NA fans this teams is as good as it gets on paper. Unfortunately they didn’t really get that challenged in North America. Echo Fox had an insane dip in performance mid-split, Cloud9 couldn’t really compete at the highest level near the end, TSM had more than a fair share of problems regarding synergy and overall team play, etc. Regardless, Team Liquid has a lot of things going for them. When you break down the roster on an individual level you realize that this is an absolute all-star cast consisting of some of the best players in each and every role. Impact still hasn’t lost his touch and the meta currently suits him perfectly (not to mention his international “buff”), Xmithie is one of the most intelligent and experienced junglers in NA and to top it all off he has a ton of synergy with Pobelter and Olleh back from their Immortals days (they also competed at Worlds 2017) and last but not least we have Doublelift, one of the best AD carries the West has to offer. He didn’t always play to the fullest of his ability on the international stage, but his leadership and sheer mechanical prowess cannot be ignored. While they’re all incredibly skilled and experienced individually they’re still fairly fresh as a five man cohesive unit. Dominating your region is one thing but performing on the international stage is another – and that has been the biggest pitfall of North America as a region. TSM dominated for years, in fact this was the first year in NA LCS history that we didn’t see TSM in the final. Regardless of their level of play on home soil – facing the upper echelon from Korea, China, Taiwan, Europe etc. is a different story. Because of this we’re placing Team Liquid at number four. (ironic) That said they’re incredibly skilled all-around and it’s highly possible that this is the year when North America breaks the curse and actually performs as expected on an international stage. The Flash Wolves are always a hard team to bet on. They have flashes of brilliance regardless of the team they’re up against (also known as the “Korean slayers” due to the fact that they held a positive record against SKT T1 in their prime) but they also stumble and fall at the most random of times. They’re incredibly dominant and strong in the early stages of the game however as time goes on they begin to make critical mistakes at the worst possible times. Their skill and overall potential is obvious and their aggression is much similar to that of the top LPL teams – probably due to the fact that they consistently scrim the Chinese cream of the crop throughout the year. However they rarely played their best when it came down to those clutch games and moments so we’re ranking them fifth. Last but not least we have the Vietnamese representative. Even though they weren’t favored to win and proceed to the Group Stage they showed the world that their region is not one to scoff at. Turkey’s SuperMassive was favored not only to dominate in the Play-In stage but perhaps even make a splash throughout the tournament as they were coming in with quite a lot of hype. (mainly due to their high profile imports GBM and SnowFlower) However it was EVOS that proved to be the better team on almost all fronts in their Best of 5 clash on Tuesday. Without a doubt the biggest performer on the team was their jungler Yijin who almost single-handedly demolished SuperMassive with some of the best (and cleanest) Graves play we’ve seen in quite some time. After an insane game three (+40 [email protected], 27.3% of his team’s damage) he went for a repeat in game four and performed even better. It’s fitting that the entire Vietnamese region is becoming feared primarily for their junglers and style of play – incredibly aggressive, “in-your-face” with a sprinkle of mechanical prowess. Vietnam’s biggest strength is undoubtedly their unfiltered aggression and willingness to play the game in a different way. While others are playing through the mid and bottom lane, EVOS’ main strengths lie in their jungle and top positions. They fight from the very beginning and if they manage to dictate the pace of the game they become quite unstoppable. After witnessing just how big of an impact Yijin as an individual has, it will be exciting to see how well he fares against the like of Xmithie and Broxah who are more controlling, cerebral junglers. He shouldn’t be able to dominate as much against the likes of Peanut and Mlxg but Fnatic and Team Liquid could in theory be vulnerable. Again, they’re not going for the “most optimal way” to play League of Legends, they have their own playstyle and they’re doing what works for them – to much success so far. They completely overwhelmed SuperMassive and gave a ton of resources to Yijin expecting him to carry – which he did. They’re entering Groups as the underdogs but knowing how wild Best of 1’s can get, this might be the perfect chance for EVOS to shine and shock the world. As always, betting on the Korean champion to win is always a fool-proof strategy and it pays off almost every single time. (with the very first Mid-Season Invitational being the rare exception when EDG bested SKT in the finals) That said it doesn’t mean other teams won’t be able to contest and perhaps even upset. Royal Never Give Up in particular looks like a very formidable opponent and while Fnatic and Team Liquid didn’t really have the toughest of opposition in their respective regions they’re still highly skilled and experienced teams. Much like every year the power rankings are pretty obvious. Korea at number one, then a couple of empty spaces then China, Europe and North America. Taiwan is always a wildcard region when it comes to performance – they can either shine and dominate or completely fall flat. Regardless, they’re currently an unknown quantity but they did show quite a lot of potential in their Best of 5 against Gambit Gaming. As always, if you’re betting on the Mid-Season Invitational try to watch as many games as possible to get a better grasp on the overall power rankings. Things change from game to game and since it’s a volatile Best of 1 format anything can happen at any given time.